Customize this cute and sporty dance bag for a little dancer in your life. 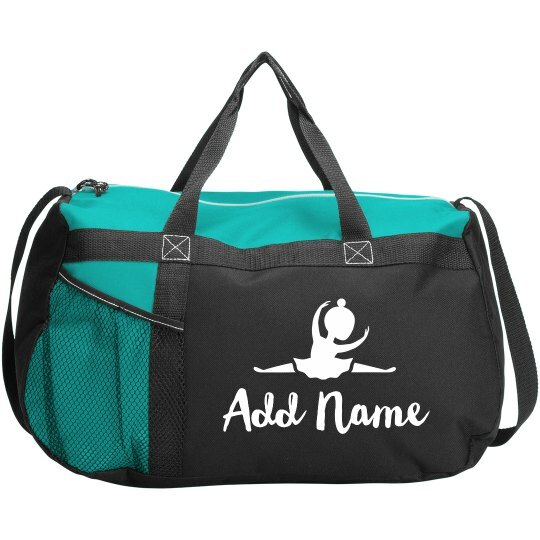 Add a personalized name to this trendy dancer's duffle to give it a one of a kind look. This roomy bag is great for carrying around all kinds of dance accessories - shoes, water bottle, clothes, and so much more. Take it to practice and competitions to show your dance pride.